I’m in the middle of grading 152 literary analysis papers. As I’m reading these papers, I’m proud. Not because they are perfect—they aren’t. This isn’t even the best set of literary analysis papers I’ve received from 10th graders during my teaching career. No, the best literary analysis papers I’ve ever received may have been from those students years ago who I heavily guided (probably somewhat mercilessly) with preselected text, a thesis developed by the class and then tweaked by me, and a plan I had constructed for them to flesh out the predetermined structure. But why shouldn’t they have been the best? I was the best writer in the room, and I did most of the thinking work in writing the paper. There are numerous problems with this teaching practice, which I have worked relentlessly to change over the years. Chris Lehmann, the founding principal of the Science Leadership Academy, says, “If you assign a project and get back 30 of the exact same thing, that’s not a project, it’s a recipe.” I think the same is true for student writing. We can’t keep giving our students all the ingredients and the recipe for their work. They don’t have to think, or at least not a lot, when we do this. 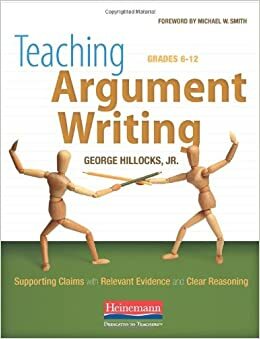 “handing students topics and preselected sources removes a natural and important step of learning to do anything: making errors. If we are developing students to be creative, flexible, independent learners, then we cannot scrub away opportunities for mistakes to be made and corrections to be learned” (10, emphasis added). This type of learning takes courage—for me and for my students. I’m not a parent, but I imagine the feeling of not wanting to see your own child fail is similar to the feeling I have about my students. It was hard not to jump in and tell them that I thought they were going to have a hard time with a particular story, or lens, or the evidence gathered. 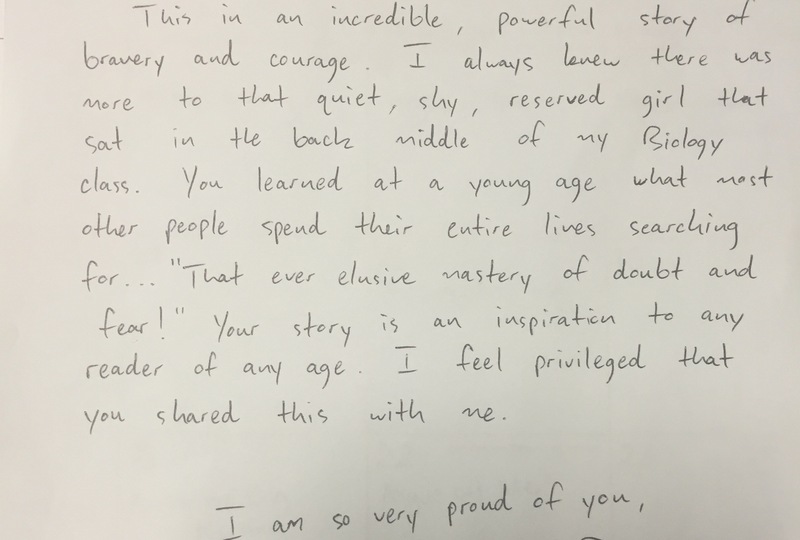 It was a bit scary having students write in such a formal manner about stories that I had not read. It took courage for the students to work as hard as they did on independent reading and writing. They were brave in the way they rehearsed their thinking and changed their ideas about the literature and their writing as they went through the process. There were no right or wrong answers to make them feel safe. So as I sit here grading the 152 literary analysis papers that I could have done a better job writing, I am beaming with pride. I have that “mama pride.” I see their authentic work, their own thinking and voice coming alive on the paper, their depth of understanding that went so much further than when asked to simply plug and play. Not to mention, I was not bored by reading the exact same thing over and over in slightly different words. 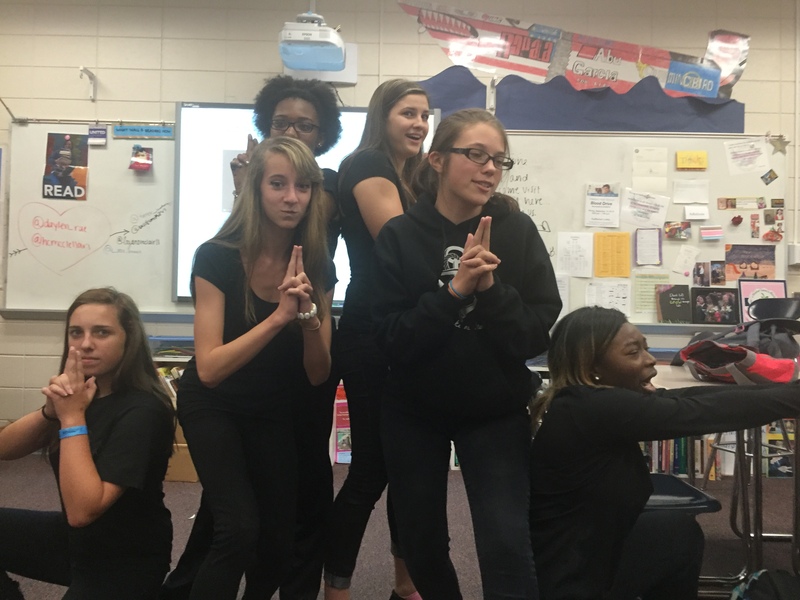 Most importantly, though, my students are proud. Many have said they are turning in their best paper they’ve ever written. Some commented on how they finally figured out how to write about literature. One student, who I’m often lucky if I ever get his work by the due date, turned in his paper on time proudly, saying he even skipped playing basketball to work on his writing. There is power in giving students choice and ownership. There is power in allowing students the freedom to make mistakes. 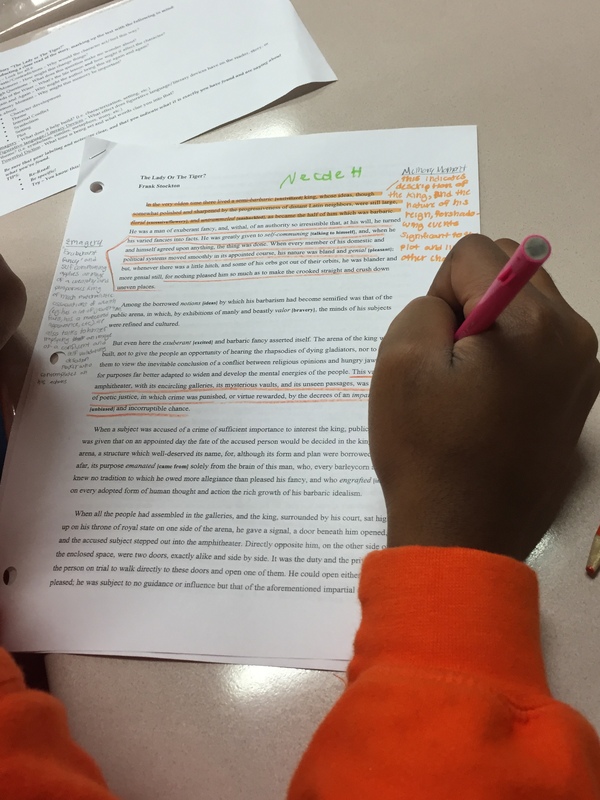 There is power in students finding their voice through independent writing. Bonus Read: If you are like me and could not attend NCTE this year (or even if you did and you want to relive it), there are lots of blogs worth checking out. Sarah Zerwin’s daily NCTE blog with an additional top takeaway post is a great place to start. Thank you, Elizabeth, for introducing me to this blog on your Links I Loved Last Week. Also, check out her Top Ten List about NCTE15. To Make a Prairie gives thanks to NCTE with a beautiful post of inspiration and challenges. A few week ago, I attended our system ELA Vertical Team meeting, where the amazing Cheryl Daniels, our system’s 6-12 ELA Instructional Coach, presented on how to use picture books in centers for theme work. It was beautiful. 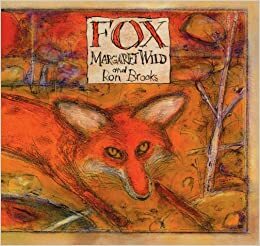 The picture books were powerful and had layers of meaning. The task cards gave students enough scaffolding to help them do the work in groups, but also enough depth to encourage rigor in student thinking. Cheryl graciously agreed to let me share a sample of what a station task card might look like. You can see that here. 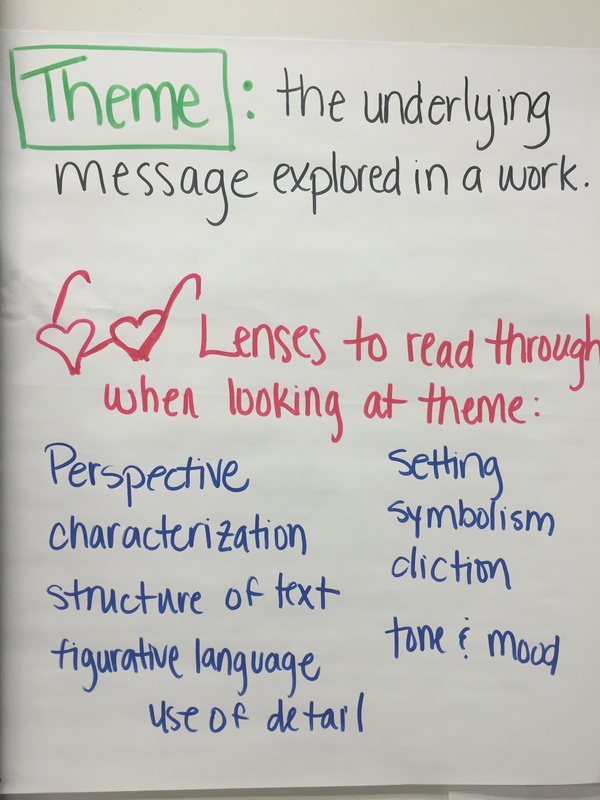 This led into a discussion on how there are certain lenses we can look through to discover the theme of a text, and the closer we look through the lens the more we will understand about the text. 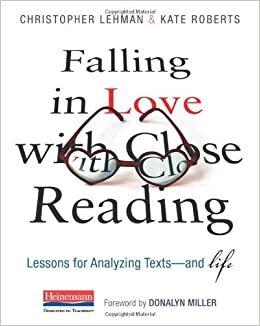 Then, I introduced the close reading protocol from Christopher Lehman and Kate Roberts’ Falling in Love with Close Reading. 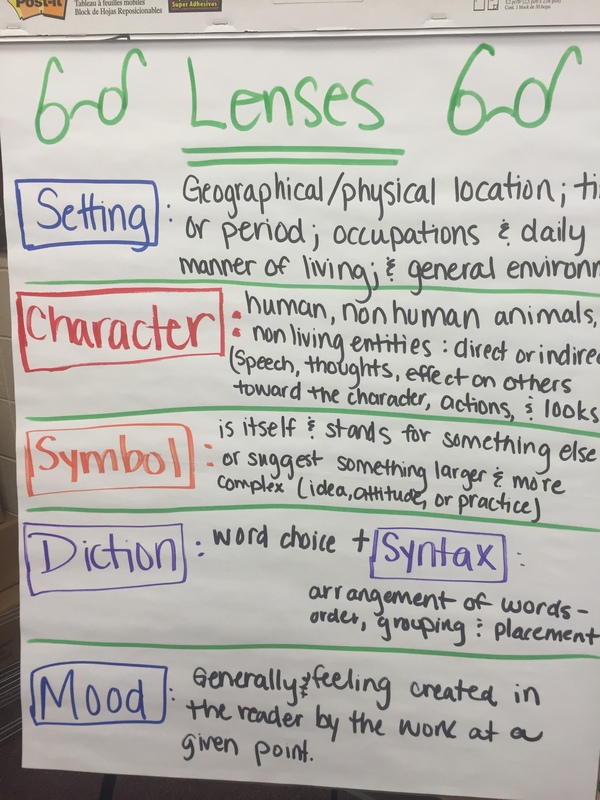 We decided to look through the following lenses in our unit of study (in no particular order): setting, symbolism, characterization, diction, mood, perspective, and figurative language. I did a mini-lesson on each lens, practicing with short videos and picture books. Cheryl Daniels was incredibly helpful in helping me find texts. The ones I used plus other options are listed below and on my Pinterest board. We are still working on lenses right now, but the next steps for us will be writing a literary analysis on a short story of their choice. They will do a little research on the author and context for the story, and then choose three lenses to analyze their story. This will be the pre-work and thinking before beginning the writing process. 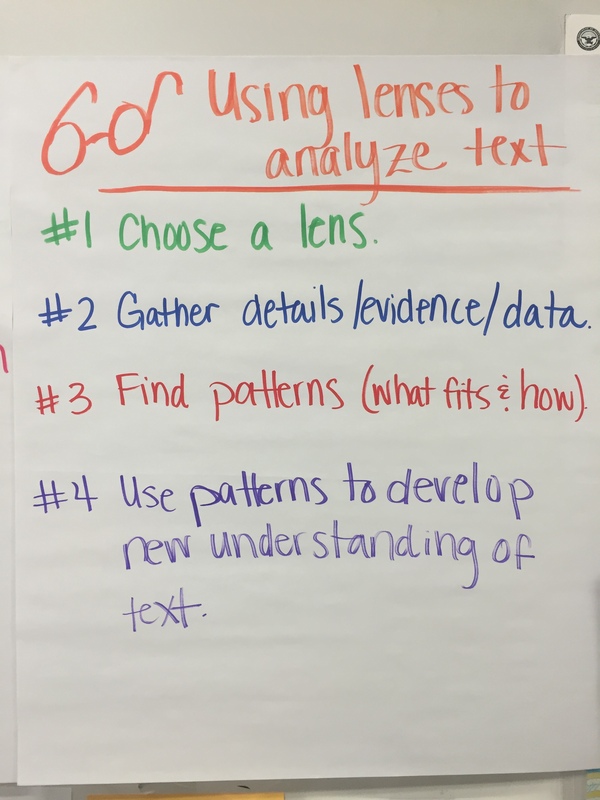 What I like about this is that the students are learning ways to analyze text on their own—they have tools. 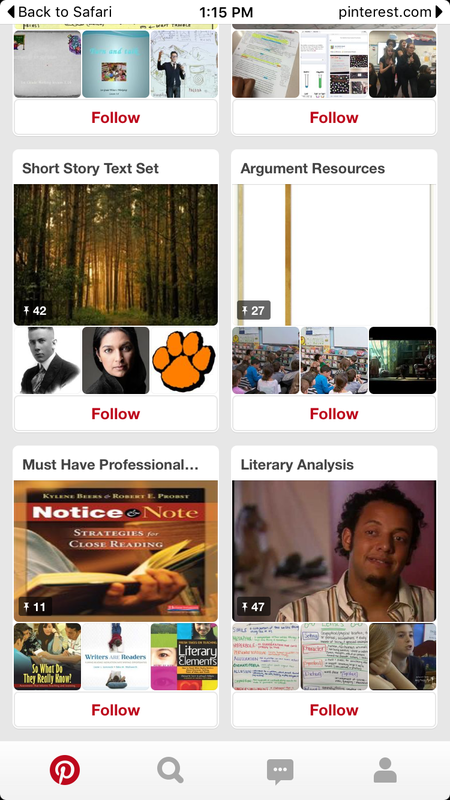 Then they will be able to choose which tools are best to analyze a story of their choice. They will be building independence instead of the teacher telling them what to write about and how to format their papers. They have ownership. And that ownership will help them far beyond the time in my classroom. Thank you, Cheryl Daniels, for providing picture book titles. Starred titles are what I used for mini-lessons. Bonus Read: Friday our school received some test scores from a high-stakes, statewide test given last year. The conversation about test scores and what they mean and don’t mean buzzed. I was reminded of Amy’s post 7 Reasons to Stop Asking about AP Scores. I loved what she said in this post about student learning and test scores. This is a must read and reminder for all educators, not just AP teachers. It was Sunday night. I was getting everything ready to start a new week at school—packing lunch, gathering papers, and finding an outfit. Laundry was done, and all my clothes were hanging in my closet. There were a lot of clothes, but I still stared at my closet thinking I need to go shopping because I have nothing to wear. I finally decided to take out each pair of pants and each skirt, one at a time, and match it with a top. Turns out, I had plenty to wear. I just needed a system, a way to look at what I had, to find what I needed. It made me think of my students. They learn a lot of skills and have lots of tools to access those skills. Sometimes this comes in a piece here and a piece there; sometimes we give several tools for the same skill. And then we, as teachers, ask them to use these tools and skills throughout the year again and again—using the tools or developing the skills with different text or different writing assignments (building different outfits each time). I think students can often feel like I did standing in front of my closet. Overwhelmed. Having no clue where to look or what to look for. It’s not that they don’t have lots of tools or lots of practice with the skills. It wasn’t that I didn’t have lots of clothes. They just need a system, a way to see what they have and access the tools when needed. For me, this is the purpose of the anchor chart. It helps my students access the tools they need to do what they need to do. I didn’t always use anchor charts. It wasn’t that I didn’t like the idea of anchor charts. I just thought they took too much time (It was easier to use PowerPoint); I thought they were too difficult to display (that chart paper never sticks to my painted brick wall); I thought I didn’t have room (I have to display all my pretty, colorful posters and sayings); I thought it was a little too elementary (I teach those very grown up 10th graders). This year I’ve used them, but most importantly my students have used them. I see students pointing to the anchor chart that helps them when they are working in groups, or I hear students referring to it during discussion. I can direct them to anchor cha rts, and then they can do it themselves. It builds agency in the students. All the reason I didn’t use them seem silly. Why wouldn’t I give my students a way to access the tools to use the skills I spend so much time helping them learn? Why wouldn’t I help them figure out that they have outfits they can wear, instead of leaving them overwhelmed thinking they have nothing to wear? Someone once told me that my walls should be useful for my students or its wasted space. I think my walls are finally starting to talk the right talk. I challenge you to try it, if you don’t already. Just do one or two and see how it works out. Maybe your students will be like mine and realize just how many tools they have at their disposal. 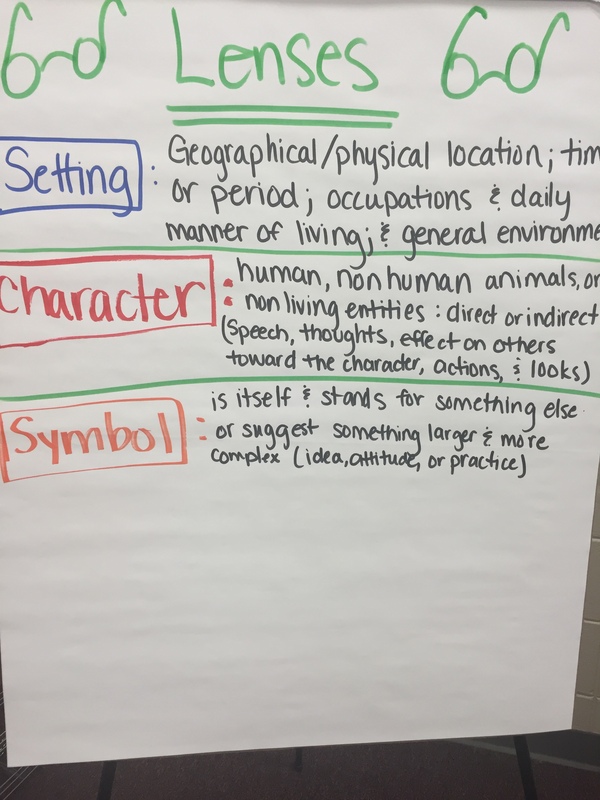 PS– These pictures of anchor charts are from my current literary analysis unit. 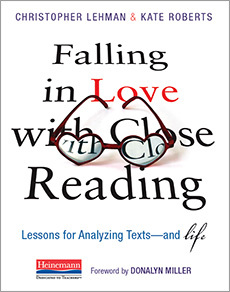 My next post will be on this unit, but the lens idea and structure is from Christopher Lehman and Kate Roberts‘ Falling in Love with Close Reading. A must have in your professional library! 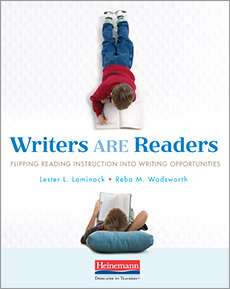 Bonus Read: Two Writing Teachers are doing this amazing blog series on Diving into Informational Writing. 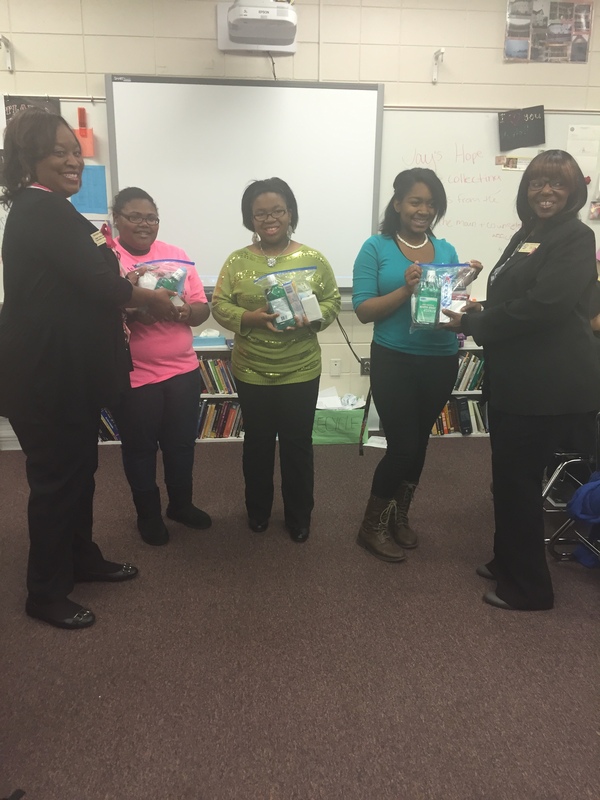 Each post is incredibly helpful, and they provide lots of information, helps, and resources. 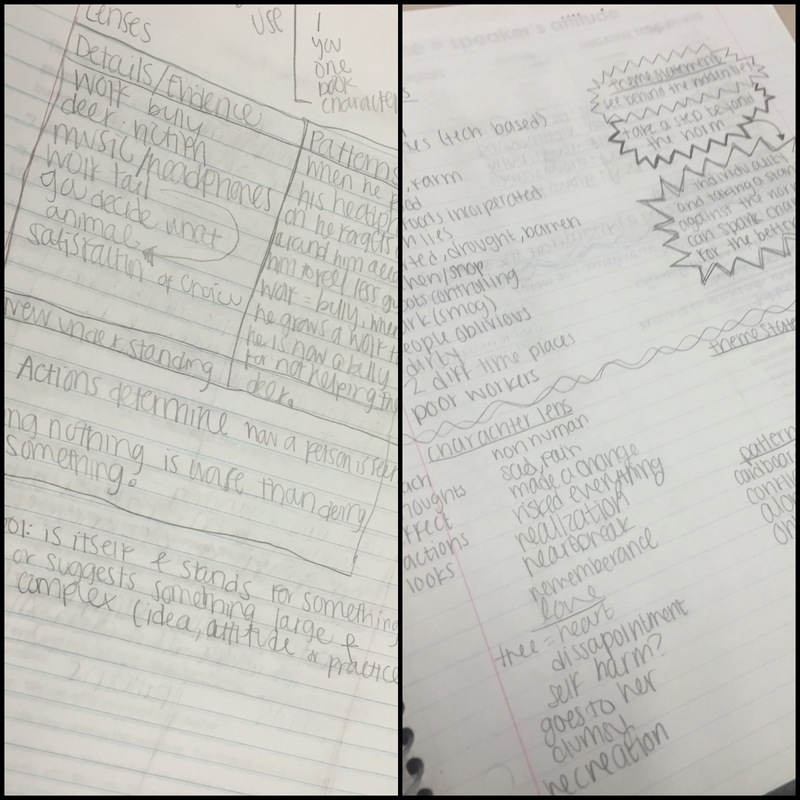 Two of my favorite from the series are Using Qualities of Informational Writing to Guide Students to Set Goals and Allowing Student Choice Within Informational Writing. 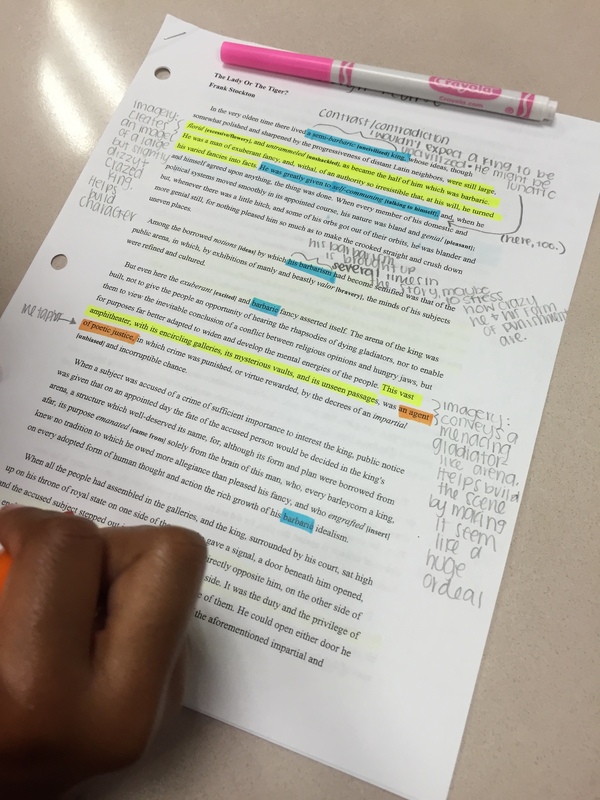 I remember pretty vividly a lesson on annotation I did several years ago. I was very excited. I had selected Kate Chopin’s Desiree’s Baby, a text I knew to be rich with lots of examples of, well, just about everything. There would be no end to what we could highlight and scribble notes about in the margin. 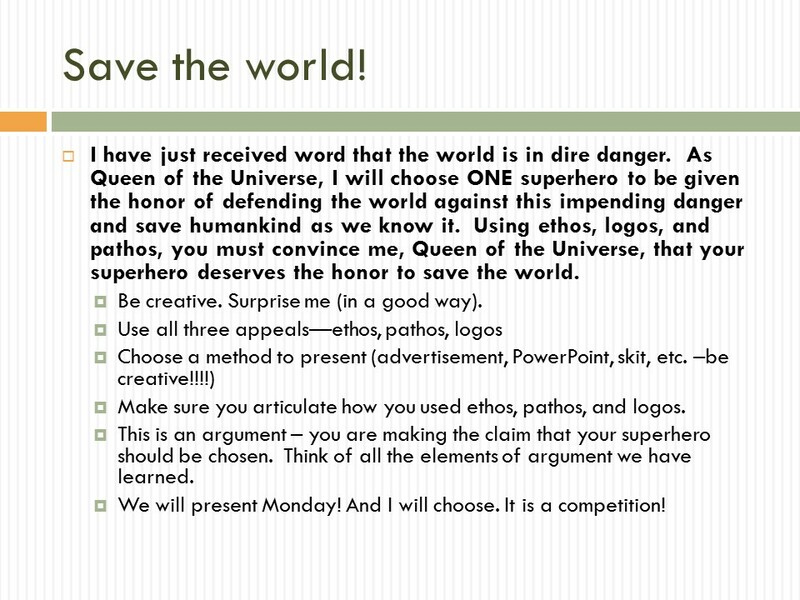 Plus, there was the added bonus–this was a text I knew the students would love. As I began to model, marking every craft move Chopin made, the students scrambled to keep up. I just knew their busyness was a sign of engagement. I would stop and ask questions about the text or ask students why they thought Chopin made this comparison or chose this word. Students would oblige and guess (and guess and guess) at the possible reason. Once finished annotating Desiree’s Baby to death, I gave the students another Chopin text to do on their own and set them off. I’m sure you aren’t surprised that I didn’t amazing results. Students were frustrated when they couldn’t make sense of writer’s craft and their purpose (or even at time understand the text). I mistakenly believed that my thinking was transparent to students and if I just talked about it, they would get it. I did not take into account that I was an English major in college and had even studied this text in one of those courses. 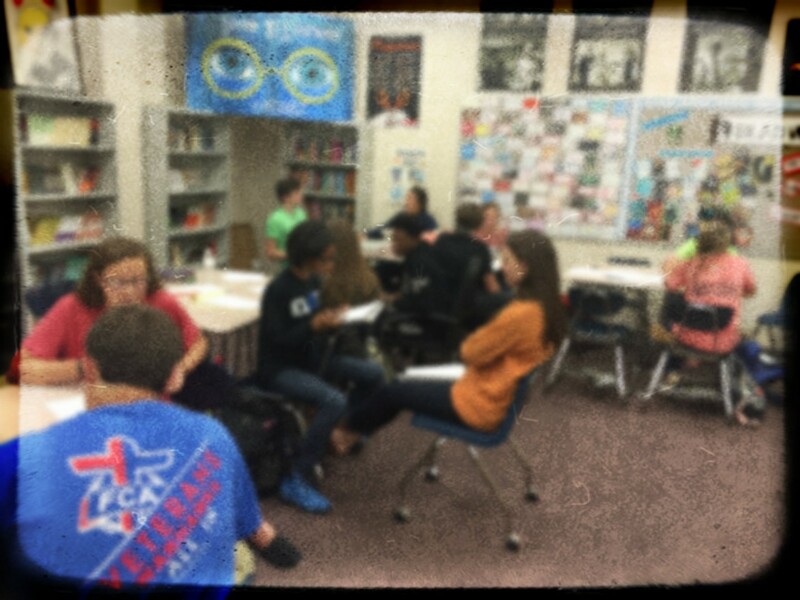 What made me think that these sophomores were going to make that leap without learning skills to access the text? The truth is I didn’t really think about skills or access to text at all. 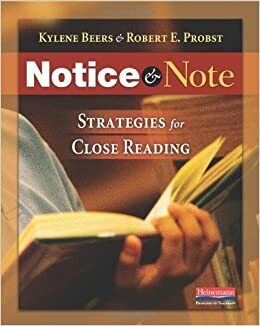 My mentor gave me Kylene Beers and Robert Probst’s Notice and Note. I thumbed through the pages, thinking it might be a little too childish for my sophisticated sophomores. But the cries of confusion from my students haunted me. I decided to give it a try, and my world was changed. Well, at the very least my teaching practice and student learning in my class. Notice and Note gives six very specific “signposts” to help students notice important moments in a text. In other words, it gives students access to the text. It showed me how to teach skills that students can use in any texts they read, which they now do in their independent novels as well as text we use in class. Notice and Note was the beginning of my change. 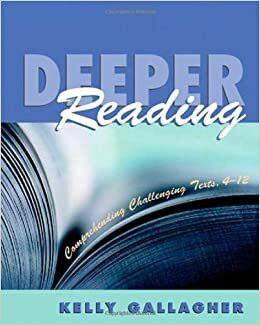 Other books such as Kelly Gallagher’s Deeper Reading and Christopher Lehman and Kate Roberts’ Falling in Love with Close Reading are must have resources. 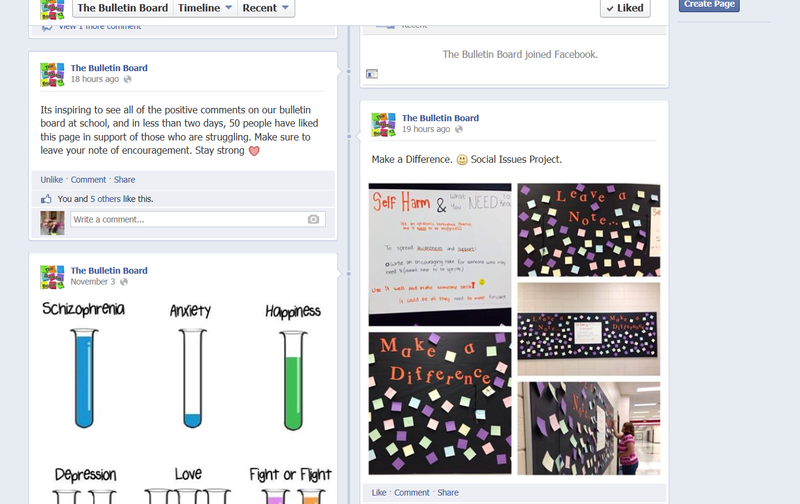 There is also a Facebook group for Notice and Note that has so many resources you could spend days going through it. In Write Like This, Kelly Gallagher says, “The Wizard of Oz would have been a lousy writing teacher.” He would be an equally lousy close read teacher. 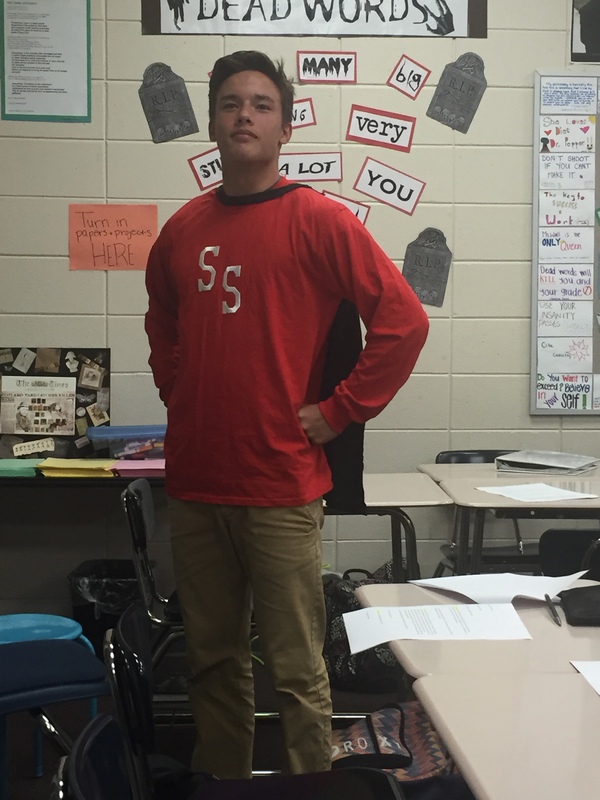 Bonus Read: Zackary Kirk did a series of posts on doing high school differently. His last one, Teach Like a (Master) Teacher!, is a call to stop teaching like anything other than a really great teacher. He challenged me to be reflective while also giving lots of additional reading to keep me thinking.